SafeLane Global was employed to undertake a non-intrusive survey of a former Royal Air Force station in the east of the UK covering approximately 100 hectares. It was being developed as a utility scale solar energy farm, and now generates 33 Megawatts of power. The site was assessed as being at high risk of unexploded ordnance (UXO) with the threat coming from numerous types of explosive ordnance ranging from, land service ammunition (LSA), pipemines and German high explosive bombs. The recommendation within the UXO threat assessment was for proactive digital survey and investigation to be conducted ahead of the development. The client therefore contacted SafeLane Global to enquire if there was an efficient methodology to conduct the non-intrusive survey in order to avoid any delays to the construction programme. Following a site reconnaissance and review of the UXO risk, (within 24 hours of first contact), SafeLane Global deployed its bespoke non-intrusive digital magnetometer towed survey array. 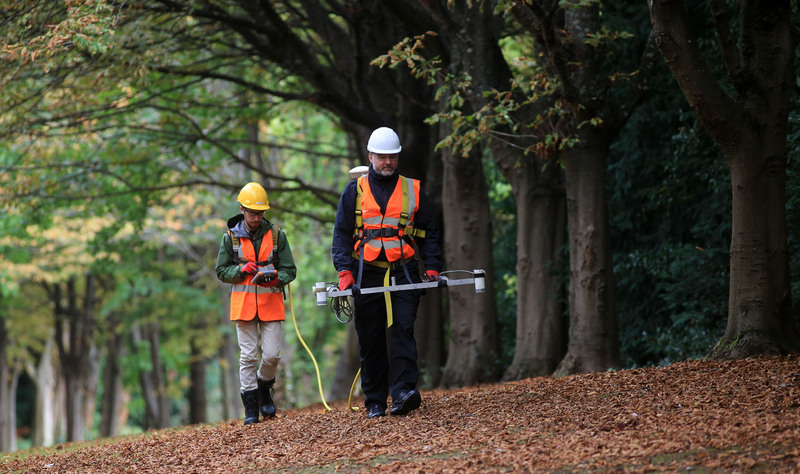 And the survey of 98.25 hectares was completed in 9 working days by its self-contained survey team – covering over 10 hectares per day. Rapid data interpretation and target classification enabled multiple target investigation teams and plant to be rapidly deployed to site, whilst the survey was still being conducted, to investigate targets identified form the survey that fell with the classification range of potential UXO. The project was completed within 22 days from start to finish providing the client with the clearance they required, and ensuring the construction programme was back on track.